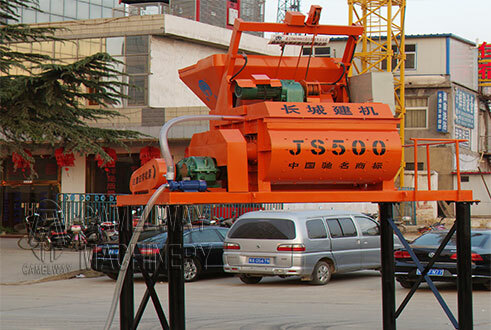 JS500 concrete mixer could work independently or in HZS25 concrete batching plant with PLD1200. It is widely used in various construction projects with adjustable discharge heights. 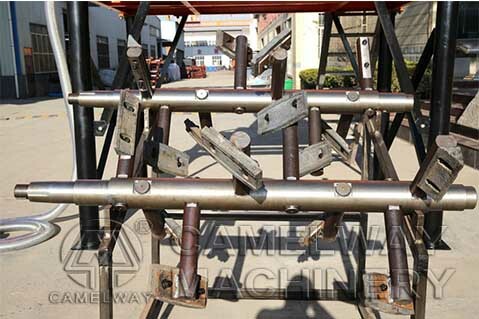 High-resistant manganese steel alloys plates, blades and metal parts are produced in CamelWay workshops. JS500 series Concrete Mixer is made up with twin horizontal shafts and coupled engine gear groups. It is highly used in the highways, bridges, water conservancy, port and other large industrial or civil engineering, as main support mixer in HZS25 concrete batching plant. It has following characters: reasonable structure, a high degree of automation, good mixing quality, high efficiency, low energy consumption, low noise, easy operation, fast unloading, lining board, long life blade, easy maintenance and etc,. The height of discharge is 1.5m,2m,2.7m or 3.8m. Hydraulic discharge/Manual discharging for options, adjustable hydraulic discharging door let client easy to use. Speed Reducer are China famous brand. Cycloidal reducer/Planetary reducer to choose. Also mixer has registered China Well-Know Trademark with ISO, SGS certificates. 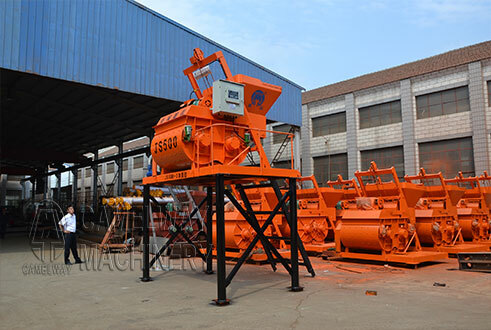 In addition you can configure dump truck, mixer themselves. Last but not least we can offer these Machine according to your special requirements.